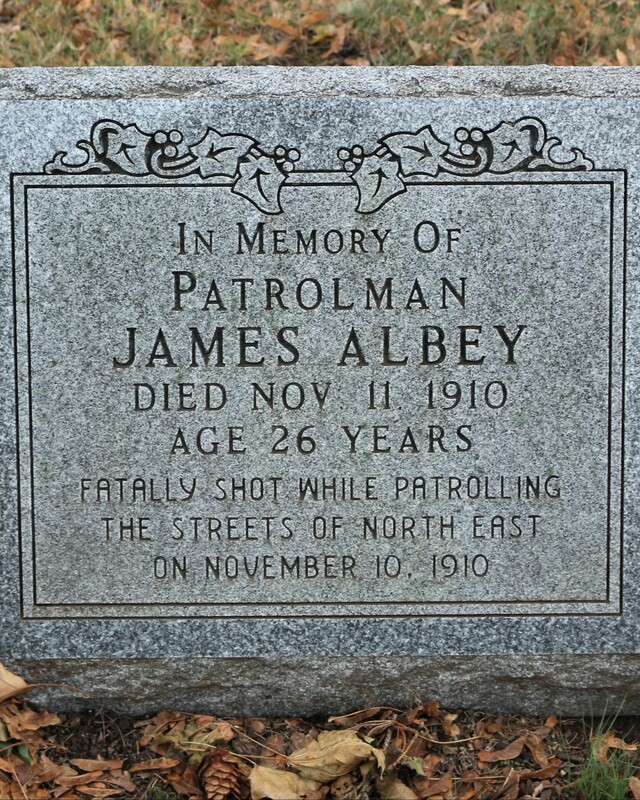 Patrolman James Albey was shot and killed while investigating complaints that four men had boarded a streetcar, refused to pay and were causing a disturbance at 11:50 pm. As he confronted the men in front of the Haynes Hotel one of the men produced a handgun and shot Patrolman Albey four times. 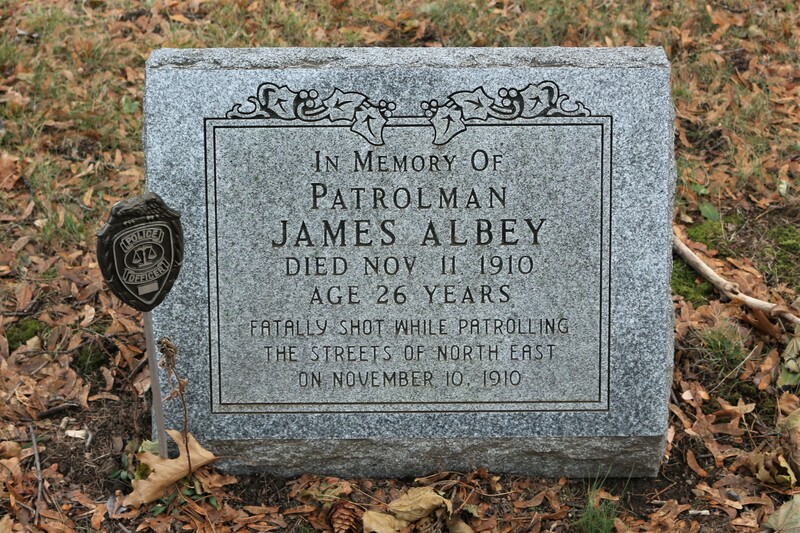 Patrolman Albey died of his wounds shortly after midnight while being taken to an Erie hospital on a streetcar. 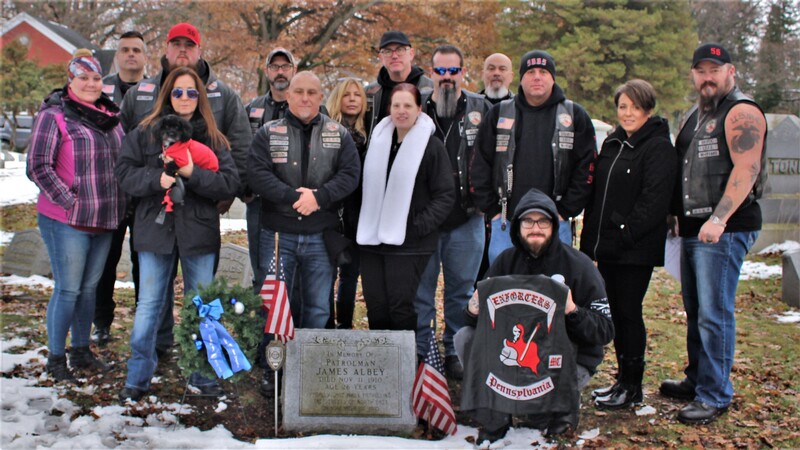 Patrolman Albey had only served with the North East Borough Police Department for one month. He was survived by his wife of three days. You protected my home town long before I lived there. I wish I could have been there to help you out that day.